MORE POWER TO THE SQUAT! 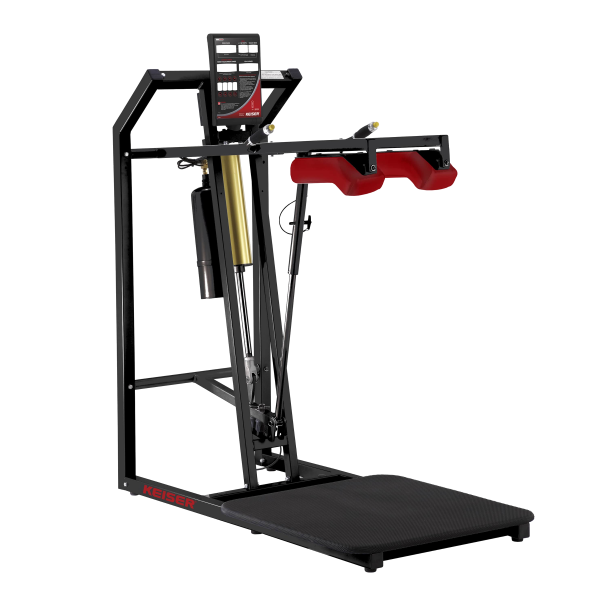 The Keiser Air300 Squat was one of the first machines Keiser created. They realised the need for a machine to have the ability to develop strength, speed, and power more effectively, efficiently, and safer than using free weights. To this day, it remains Keiser’s most popular piece in the world of sport. Exercisers of every age and ability can now use our Squats to develop their explosive power and do it safer. It features self-adjusting shoulder pads and a wide base. Additionally, a range-limiting feature helps prevent ligament and joint injury to the knee. Combining a low impact workout with the ability to move safely at higher speeds, the AIR300 Squat enhances explosive Power. 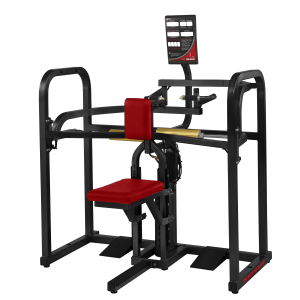 The machine features conveniently positioned thumb button resistance control located on the ends of the hand-grips, allowing the user to increase or decrease resistance without leaving the machine. It also, lets athletes train the essential ‘triple extension’ (a full lock of their hips, knees and ankles) for speed and power. 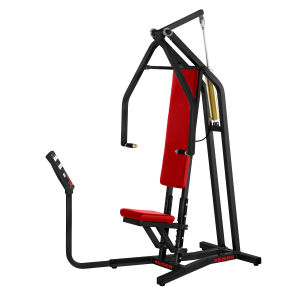 The Keiser Air300 Belt Squat compliments the Squat Machine perfectly too. 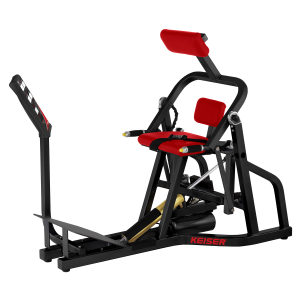 As in all Keiser strength machines, the Keiser Power Display on the Keiser Air300 Squat provides information on both resistance (in either one-pound or one-kilogram increments for strength equipment) and repetitions performed in clear, 1-inch sized numbers. The Keiser Power displays also feature the Keiser eChip System: a simple-to-use electronic workout card that recalls previous workouts and settings, and easily downloads data to your personal computer via our eChip dongle.